12 aperture/filter combinations for greater versatility: micro, small, and large spot sizes, cobalt blue filter for corneal exams, fixation target, and slit aperture, plus red-free filter and unfiltered halogen. 48 focusing lenses for better resolution. 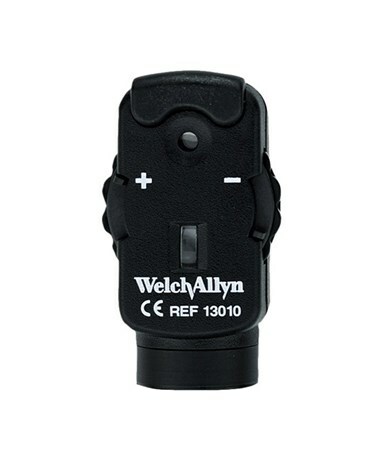 Welch Allyn's Pocketscope Ophthalmoscope Head features a Halogen light for true color tissue, 12 aperture/filter combinations for greater versatility: micro, small, and large spot sizes, cobalt blue filter for corneal exams, fixation target, and slit aperture (all on a 6-position aperture dial)! The Ophthalmoscope boasts 48 focusing lenses for sharper resolution. 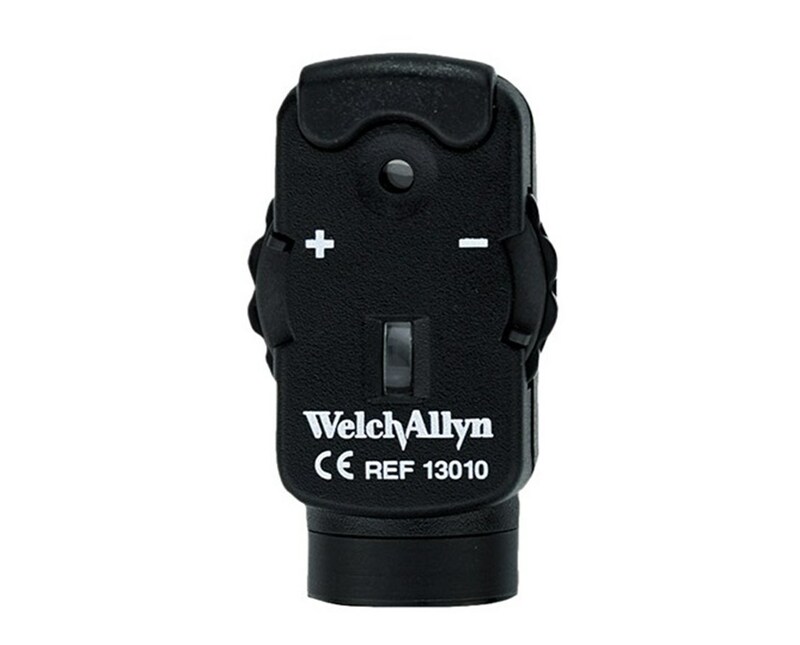 The Pocketscope head can be used with Welch Allyn quality rechargeable or AA alkaline handles for a convenient pocket size! Package includes PocketScope Ophthalmoscope Head, User Manual and comes with a 1-Year Warranty.